Glencore plc (Global Energy Commodity Resources) is an Anglo-Swiss multinational commodity trading and mining company headquartered in Baar, Switzerland — this company is the world’s largest player in the mining industry and commodity trading. Glencore has a number of production facilities all around the world and supplies metals, minerals, crude oil, oil products, coal, natural gas and agricultural products to international customers in the automotive, power generation, steel production and food processing industries. In May of 2013, Glencore plc was newly formed through a merger of Glencore with Xstrata. 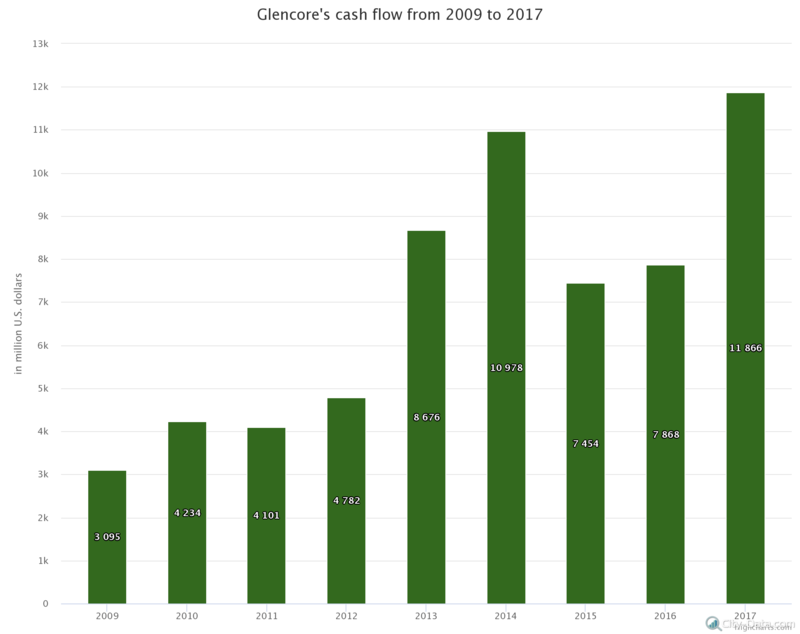 If we look at the company’s cash flow (including cash generated by operating activities before working capital changes) from 2014 to 2017, we see that in 2014 Glencore’s cash flow amounted to $10.97 billion. In 2015 and 2016, the Swiss-based company reported cash flows of $7.4 billion and $7.8 billion accordingly. In 2017, Glencore generated approximately $11.9 billion in cash flow. 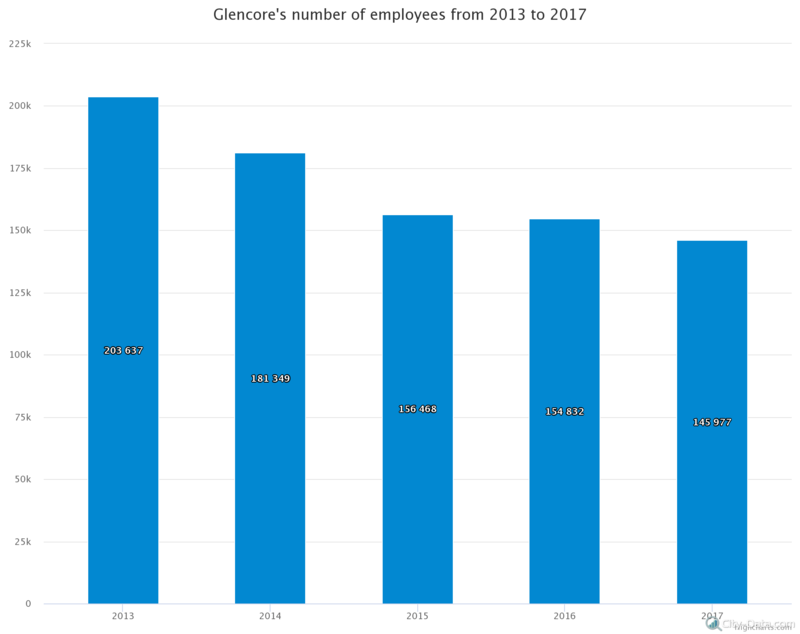 Our next chart displays the number of employees and contractors employed by Glencore from 2013 to 2017. As you can see, Glencore plc employed a workforce of more than 203,637 people around the world in 2013. In 2014, this number dropped to 181,349 thousand employees and contractors globally. In 2015, the company’s number of employees and contractors decreased again, dipping to about 156,468 people. The downward trend in employment continued through 2016 and 2017 when the company employed 154,832 and 145,977 people respectively.